This custom platinum wedding set features an invisible gallery on the engagement ring and a custom matching wedding band. The 2 carat center stone is supported by a hidden rail underneath that reveals diamonds on the sides. The bands were made to be on the thinner side to achieve a beautiful modern look. 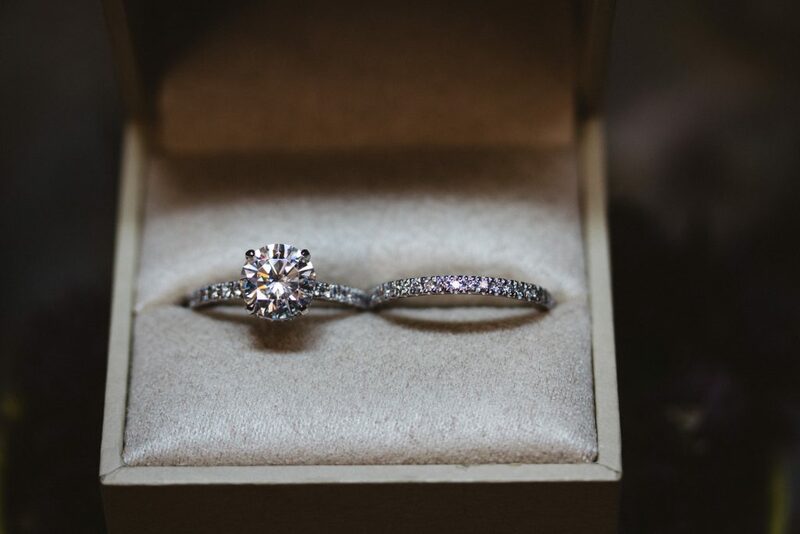 This platinum wedding set was designed to be a cohesive look between the engagement ring and wedding band. The wedding band sits up perfectly next to the engagement ring and runs underneath the rail of the center stone. 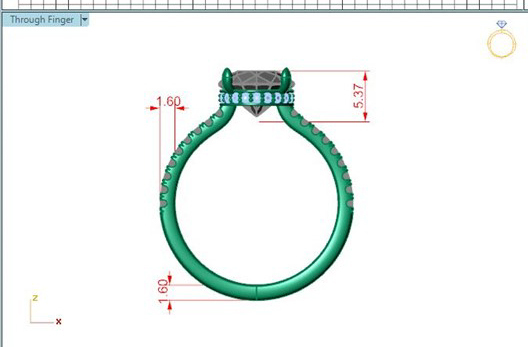 This allows the set to be worn together without any visible gaps between the two rings. 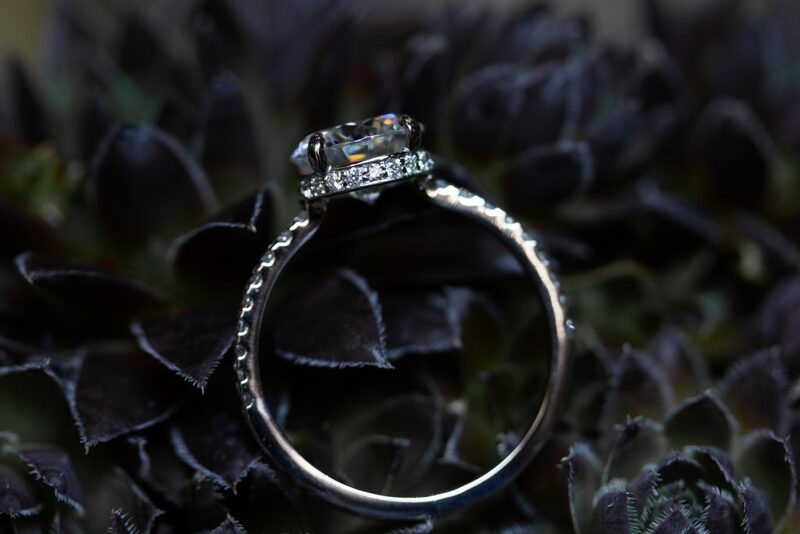 For all custom wedding band inquires, fill out our customization form! What is an ‘invisible gallery’? The gallery of a ring is the section that is seen from the side, or looking through the ring. Many times this can be solid metal or some sort of decorative design. In this case the ring was designed to have an “invisible gallery” or simply, no gallery at all. This allows you to see the bottom quarter of the center stone, including the bottom point, or culet. The rail that makes up the center stone setting was designed to have diamonds set down into the sides. This is a really neat feature as these diamonds cannot be seen when looking down at the ring, however if you look at the ring from the sides, the shimmering diamonds reveal themselves. 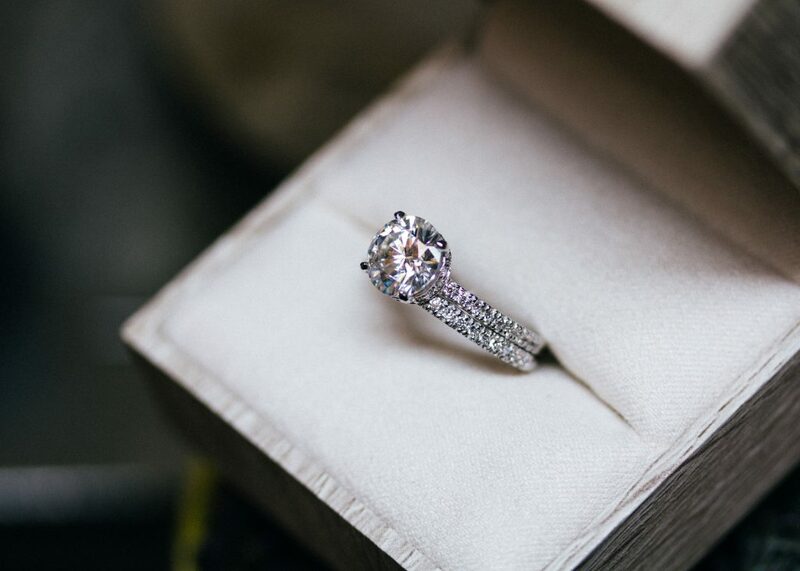 Clickhere to shop our engagement ring collection! Greetings, I'm Jordan! I'm a goldsmith specializing in sustainable custom jewelry. Don't worry, we'll never share your personal information.